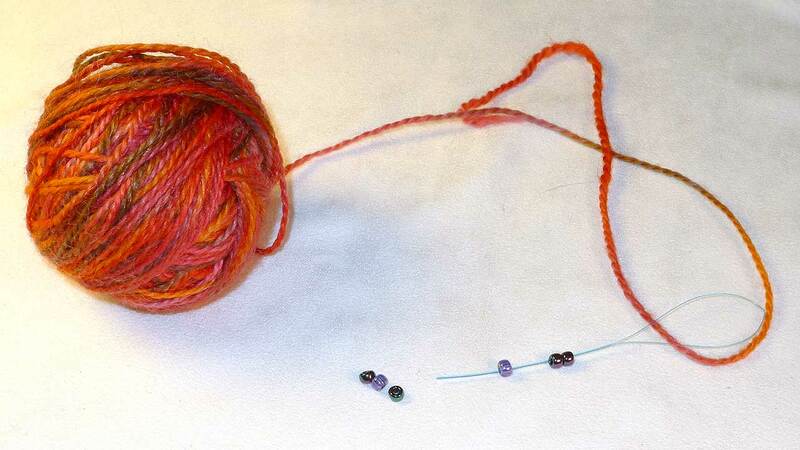 This is a tutorial to show you beaded knitting using the pre-stringing method. 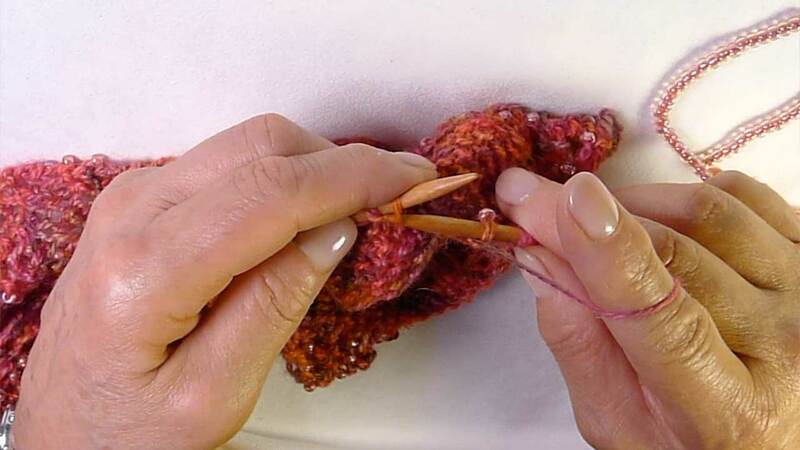 There are two essential techniques to beaded knitting. You can either pre-string the beads, or you can use a small hook to add beads to your project as you go along (see our tutorial for that method here). 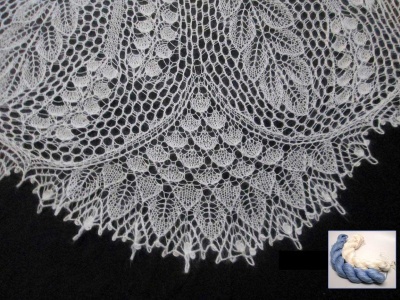 Each designer may subtly vary how pre-stringed beads are added to get a particular look. 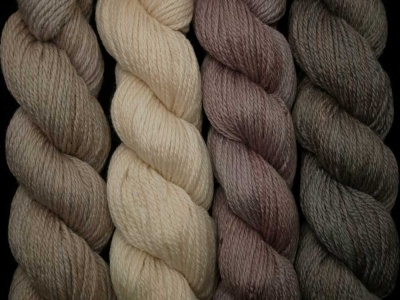 Don’t worry though - most of these adjustments are tiny and give you a wonderful variety of looks to add to your knitting. 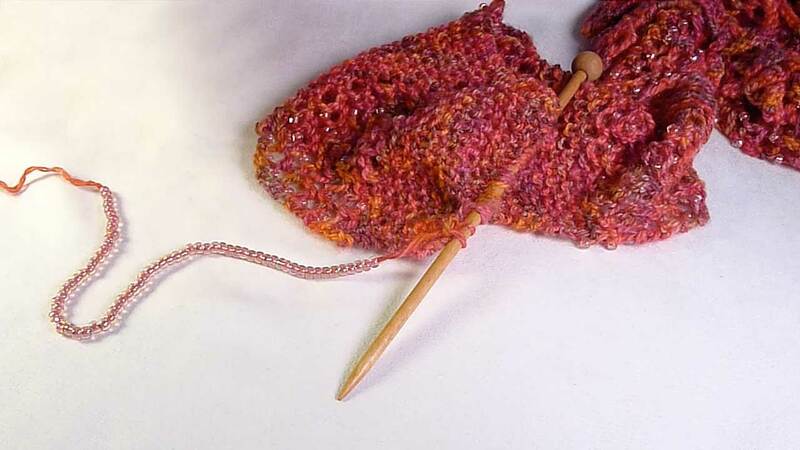 String the beads onto the yarn or thread. A floss threader is a great tool to help with this. While you're working on your project, it should look something like this. 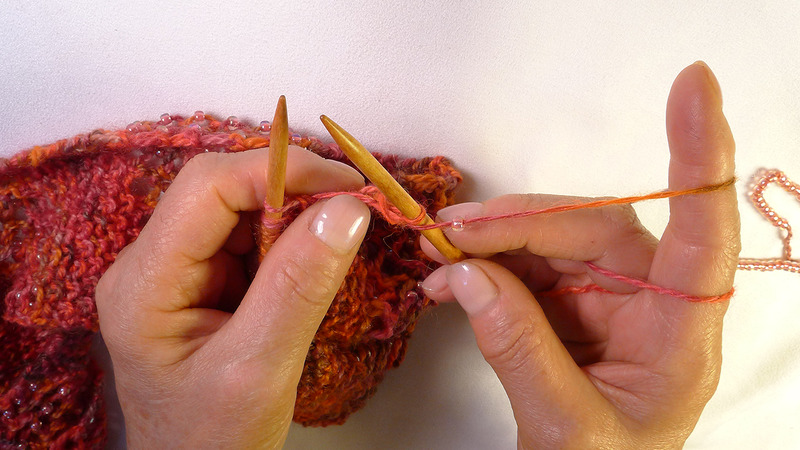 The beads are slid out of your way (down towards the skein or ball of yarn) while you do your plain knitting. 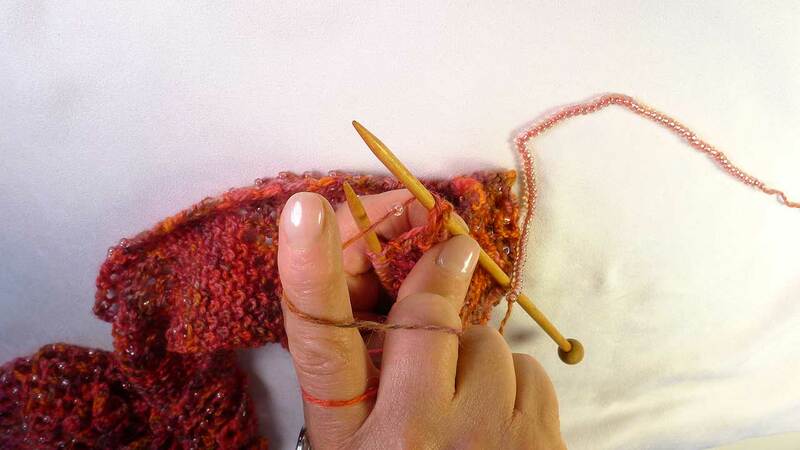 When you're ready to add a bead to the piece, slide one bead up to the knitting needle. Finish the stitch as you would normally. 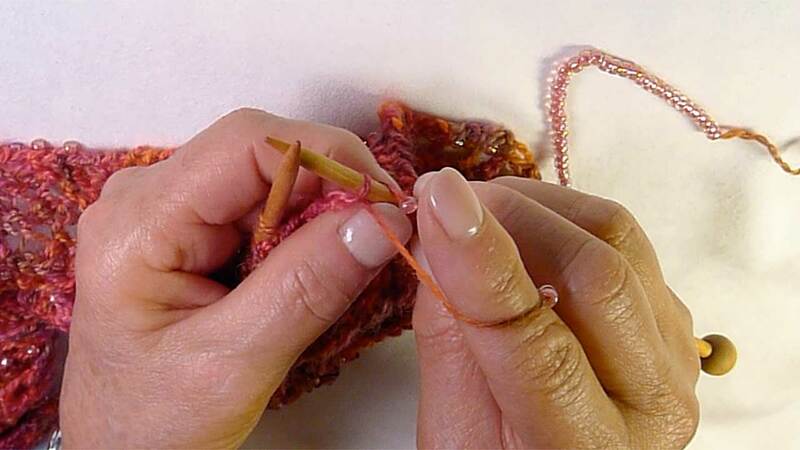 Continue your knitting until you get to the next place that a bead should be added. Note that the bead is being held snuggly between stitches. Ta-da! Beaded knitting is a great technique to add to your knitting. Take a look at the projects below - we think the bead soup and bead stew bracelets look beautiful! This article was published on Tuesday 26 July, 2016.